This is a die-cut Associated Telephone Company porcelain sign. This particular Association Telephone Company sign is black and white. 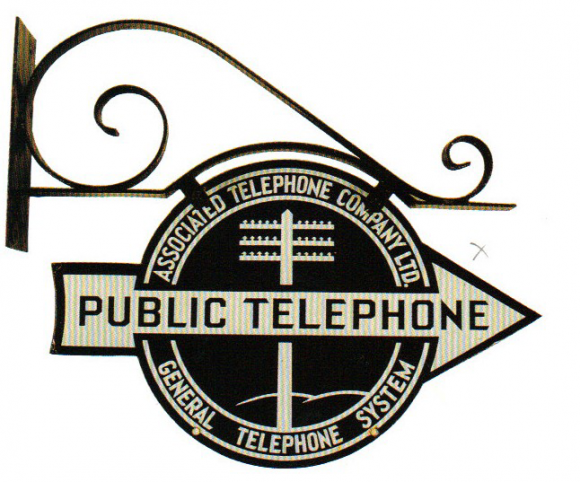 It reads, “Association Telephone Company Ltd., Public Telephone, General Telephone System” and features a telephone pole in the center.